The Texas Transportation Commission is expected to approve a $1.3 billion plan Thursday aimed to funding 14 roadway projects designed to relieve gridlock in Austin, Dallas, Fort Worth, Houston and San Antonio. “On average, Texas drivers are losing about 52 hours annually and over $1,200 annually,” said J. Bruce Bugg Jr., a member of the Texas Transportation Commission. “In order to tackle this, what we decided to do is focus on the five major metropolitan areas." In September, Gov. Greg Abbott called on the commission to develop a plan to address traffic congestion, citing the potential for "business growth and job creation" if roadways were less crowded. The largest amount of state funding — $262 million — is going toward relieving congestion on parts of I-35 and U.S. 67 in Dallas. Another $210 million is also going toward I-10 in Houston. 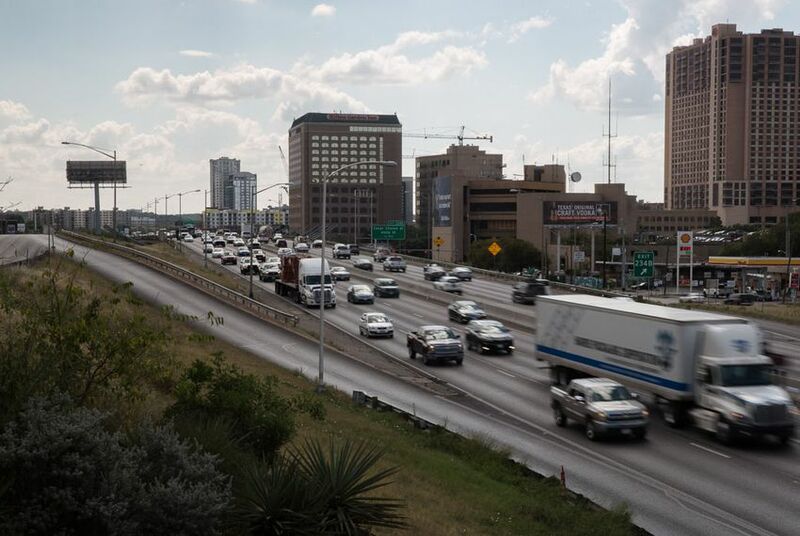 The proposal also allocates $148.6 million toward three different projects on I-35 in Austin, a portion of which topped TxDOT's most recent annual list of the 100 most congested roadways in the state. While TxDOT regularly allocates funding for road projects around the state, the size of Wednesday's announcement and the focus on the state's five largest cities was unusual. Bugg said the agency is focusing on cities because they are home to two-thirds of the state's total population, which means they also possess some of the most jam-packed roads. "Kind of a corollary of being home to two-thirds of the Texas population, those five major metropolitan areas are also home to 99 percent of Texas’ top 100 congested roads," Bugg said. Bugg said Wednesday's proposal is only the initial phase of a larger effort by TxDOT to clear Texas roads, something that would require further funding down the line. "Our goal and objective of this initial phase of funding is to get projects working as soon as possible so that Texas taxpayers that get behind the wheel of their car everyday will understand that we’re serious about showing Texas taxpayers congestion relief as soon as possible," he said. State lawmakers have taken multiple steps since 2013 to address a shortfall in funding for road construction and maintenance, collectively adding billions annually to the state's highway fund. The most recent change came in November, when Texas voters overwhelmingly approved a change to the state’s Constitution to direct some of the taxes collected on car sales to road construction and maintenance.